See the Best of the British Isles with Globus - 20 days from $4,149 per person. Europe offers many choices and alternatives, from how to travel to where to travel. Here are some options to consider in planning your European trip. There are many ways to visit Europe. These include escorted trips, hosted tours, and independent touring, all of which we support. Escorted trips include all arrangements from start to finish. Here, you will be traveling with a group of like-minded people having similar travel interests. Group sizes can vary from as few as 15 to as many as 45. Hosted tours permit you to travel at your own pace from place to place with the benefit of a tour host in each city. This gives you, the traveler, a local contact, but allows a good bit of anonymity. Sightseeing, however, will be with a group of fellow travelers. Independent touring means just that - you are on your own. Travel Harmony will reserve hotel accommodations, airline and train reservations, car rentals, and when requested, local sightseeing tours. The rest is up to you the traveler. River Cruises: Travel through the rivers and canals of Europe with 150 to 200 passengers aboard a streamlined river boat. Large picture windows, comfortable beds, wonderful food are all part of the program. You have your own floating hotel and you disembark right in the heart of each city. 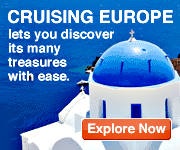 Cruise Travel: Both large and small cruise ships offer a variety of itineraries to destinations all over Europe. Combine the luxury of a cruise with the ease of getting from port to port without packing and unpacking at each stop along the way. While we arrange travel to many locations throughout Europe, our most frequent destination requests are listed below. These popular areas reflect only some of the many interesting travel alternatives available throughout Europe. 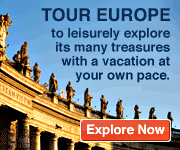 Travel Harmony has European Travel Specialists who can assist you in planning and booking your entire trip. We can also help you with just those segments for which you wish assistance, such as tours, transportation, lodging, car rentals, local guides, and other desired accommodations.